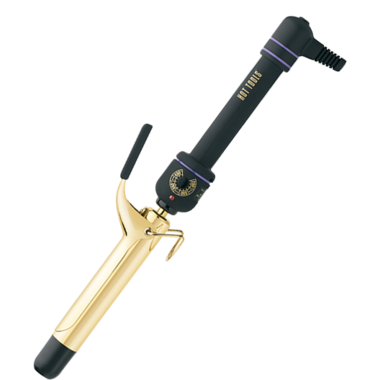 Hot Tools 1" Professional Spring Iron is the perfect sized curling iron to give you full curls and waves. Been using for two weeks after my hairdresser recommended (itâ€™s the one she uses) and it works awesome! My hair doesnâ€™t hold curl well at all but with this iron the curls still look great at the end of the day. Excellent value and would recommend to friends. Great product. Heats up fast and I like how easy it is to turn it while curling. Really like this curling iron! Heats up quickly and doesn't take long to curl my hair (black asian hair), iron does stay hot as described. Takes a few tries to get the hang of it but overall very easy to use. My first time shopping with well.ca and it's been a great experience - great price and quick shipping.